I first met Mike Smith in 1997 at a workshop at NCAR that I organized on the societal impacts of weather in the United States. Mike had the energy and enthusiasm of a human tornado, and has impressed me immeasurably ever since. I had the pleasure of serving on his board of directors in the early 2000s, where I learned an enormous amount about the role of weather in business, as well as the business of weather. We've remained friends and colleagues since that time. Mike is a first rate scientist, entrepreneur and now, author. Given Mike's past successes, it is no surprise that his first book, Warnings: The True Story of How Science Tamed the Weather is a fascinating and fun read. Mike was the first person to ever take a picture of a "downburst," helping to settle an intense debate in the meteorological community over whether these phenomena actually existed and were responsible for a number of deadly jet crashes in the 1960s through 1980s. He describes this little-known (outside of meteorological circles) debate and its consequences, making for a fascinating history. Mike also explores the history and evolution of tornado warnings in the United States, describing the complicated and sometimes contested relations between public agencies, the media and the private sector. 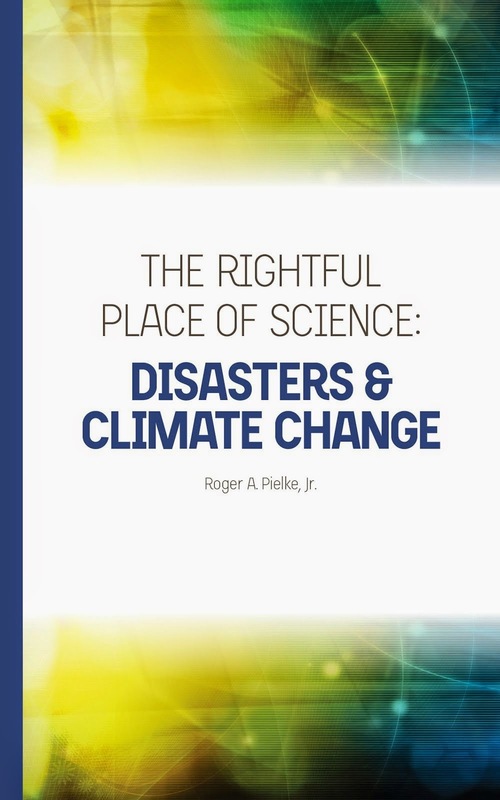 The book describes the real world impacts of tornadoes, and the efforts of scientists to protect life and property. If you are interested in gripping and educational story about science, I strongly suggest adding Warnings to your summer reading list. It is a lot of fun, and written by someone who has participated in the evolution of modern meteorology as a participant with a front row seat, both to the weather and our efforts to tame it. Mike blogs at Meteorological Musings. What a great book, Congrats Mike! So You Want to be a Professor? How Many Choices Do We Have?